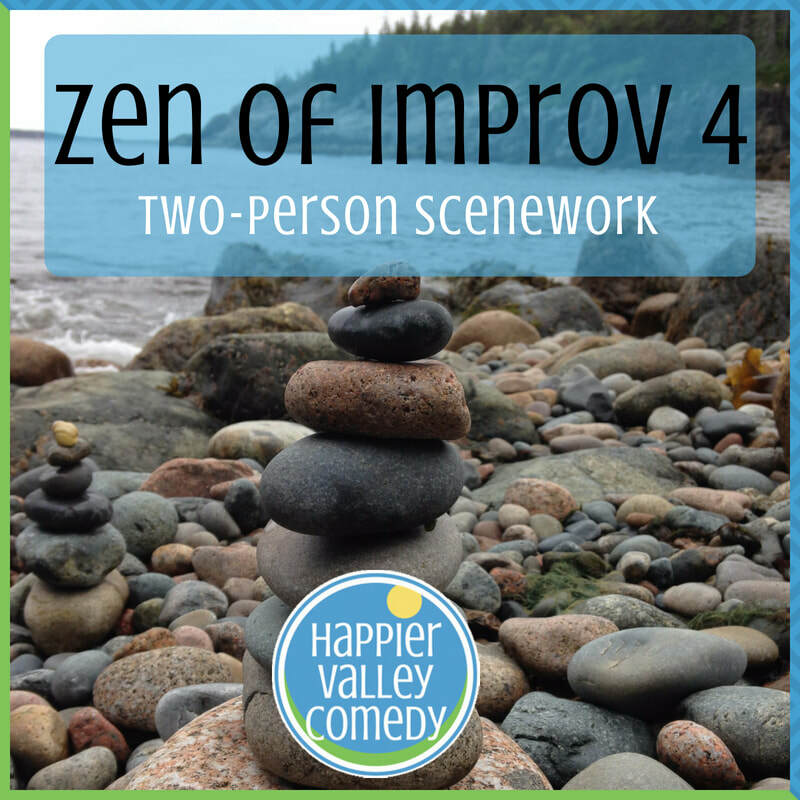 In Zen 4, we immerse ourselves in two-person scenework, the very heart of longform improvisation. We strengthen our scenework muscles, add more tools to our improv tool box, and learn the basics of editing scenes. We'll also experience questions like: When should I fight my fear and when should I follow it? What does true agreement and acceptance feel like? How can I best serve the needs of the show? We'll also continue to explore discovering and holding onto the all-important emotional point of view. Plus, we'll really dig into how to follow the show where it wants to go. Let's get in a lot more of those vital reps too! So much juicy material in Zen 4!